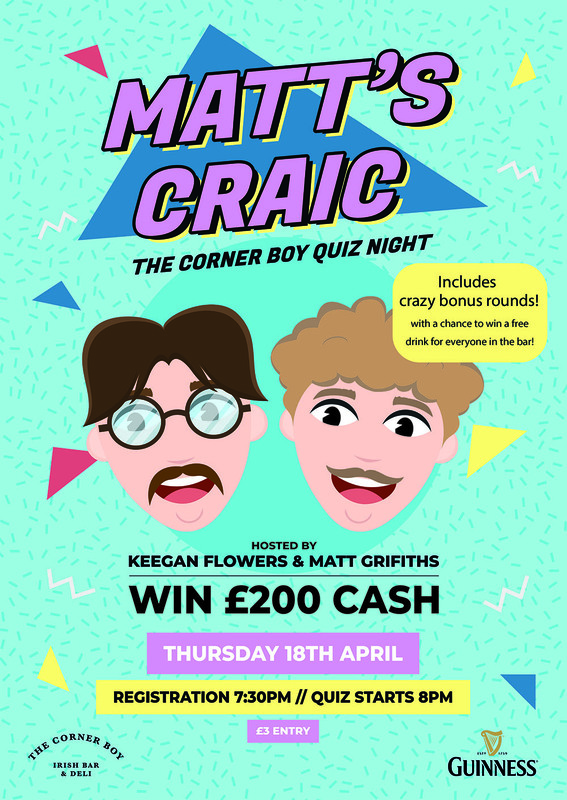 The Corner Boy quiz night sponsored by Guinness. Officially launching on Thursday 18th April after a successful test run a few weeks back. Not for the faint hearted. No boring feckers, yer barred! Join us in the Corner Boy on Paddys Day 2019 for a night of Irish Music with all-Ireland Champions Ardua. Roz, Joanne, and Katherine McVeigh are three sisters hailing from Dublin, Ireland. The McVeigh Sisters are multi-instrumentalists, playing traditional Irish fiddle, button accordion, concertina, whistles, voice, with Irish dance from a young age. They are All-Ireland champions, and are highly in demand both in Ireland and internationally. Performances include Irish Presidential House Aras an Uachtarain, Irish festivals Electric Picnic and Dublin Fringe, dance shows Celtic Rising, Gaelforce and Dance Masters, and national television and radio broadcasts RTE, TV3, and Ceili House. As individual artists, they have toured the world and elsewhere! This includes the United States, Canada, and throughout Europe. They are proud co-founders of the Irish Traditional Music Society, Trinity College, Dublin while studying at the university. Watch Ireland take on Wales at Cardiff in their final game of the 2019 Guinness Six Nations Championship. We’ll be showing live coverage of the whole match live on the big screen in the basement of Corner Boy. 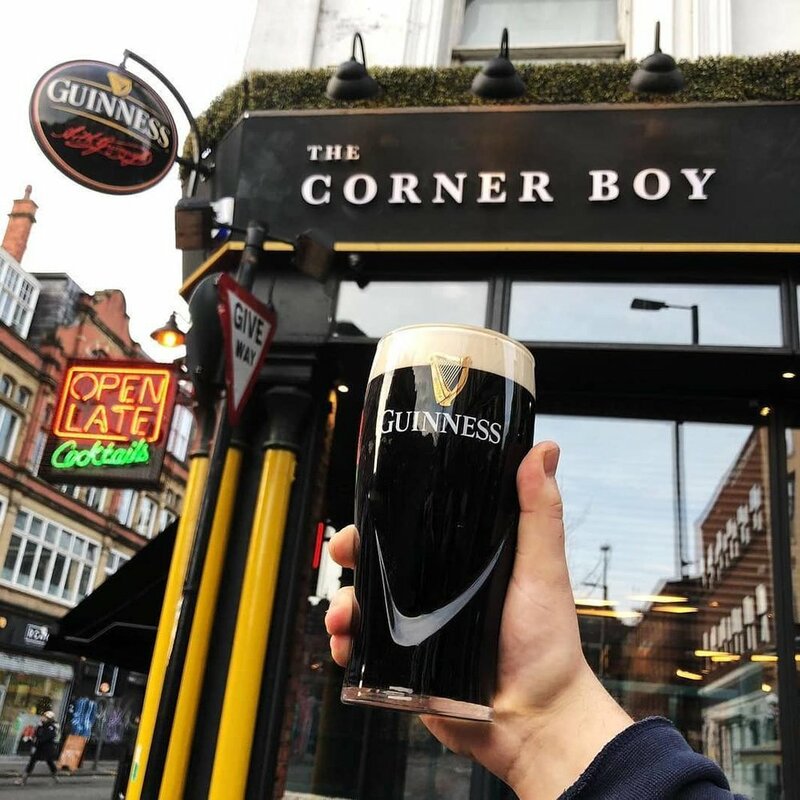 Corner Boy in partnership with Guinness will host a spectacular pub quiz on both floors in the Corner Boy on Thursday 14th March. There will be a whopping £200 cash prize up for grabs for the winning team alongside lots of on the spot giveaways. Quiz starts at 7:30pm but we advise that you come down early to guarantee a table. Join us downstairs in the Corner Boy for a very special evening hosted by Jameson Irish Whiskey. The cocktail masters at Jameson and Redbreast have curated six new cocktails for you to come and sample. Early bird tickets are £10 each and gets you 3 cocktails of your choice. The event will take place on Wednesday 13th March from 7-11pm. Please note: Once your booking has been made a member of staff will contact you directly to take payment. Ireland play France at home in their fourth game of the 2019 Guinness Six Nations. The two sides will go head to head in what is expected to be a monumental occasion in Dublin and you can watch the whole game unfold right here in the basement of Corner Boy on the big screen. Watch Italy play Ireland in Rome in their third game of the 2019 Guinness Six Nations Champions. The match will be played live in the basement of Corner Boy on the big screen. Kick off at 3pm. It’s advised to get here early though if you want a seat! Ireland take on Scotland at Murrayfield for their second text of the 2019 Guinness Six Nations Champions. Both team will be hoping to kick on from their first games last weekend. You can watch live coverage from the basement bar in The Corner Boy from 2:15pm. The biggest start to the tournament ever? Quite possibly. England will make their trip to Dublin to face down the Grand Slam champions aiming to right wrongs of 2018. Watch the game live from the basement bar on the big screen in The Corner Boy.